You mean once I get that lightdm error, or before I load up archlabs-installer? Ah so you didn’t install archlabs? Hey, i had the same message when i installed on my mac. I just install archlabs without lightdm and had no problem, thanks xinit. 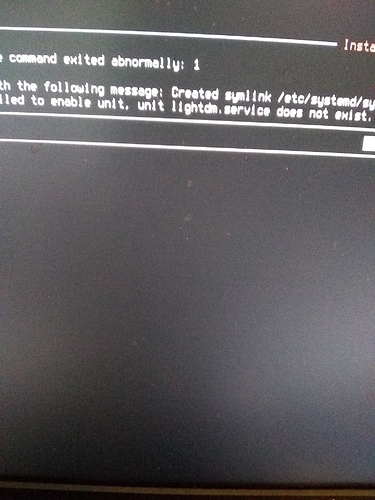 Lightdm has been causing issues recently during testing, as @GllmR said just use xinit. 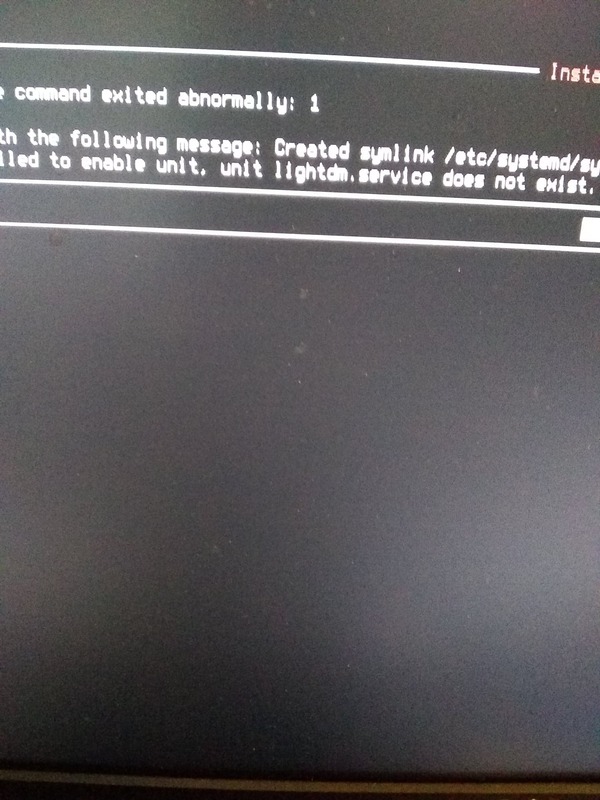 I don’t know what is up and haven’t bothered to investigate too much, if you get into the system you’ll see everything’s there and set up but lightdm just hangs. 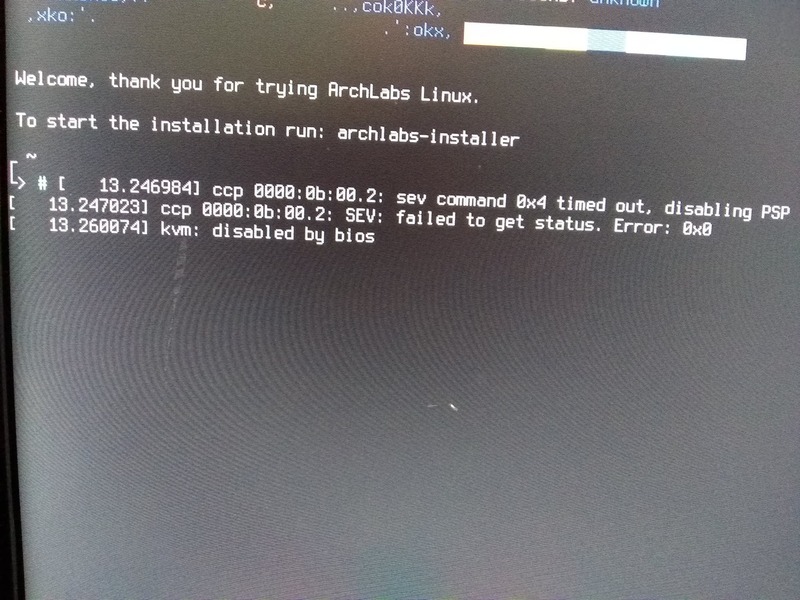 I get this screen when I go into Archlabs boot USB stick. Those 3 errors there, do those mean anything? Edit: I know the installation USB is good, as I installed this fine on my laptop. 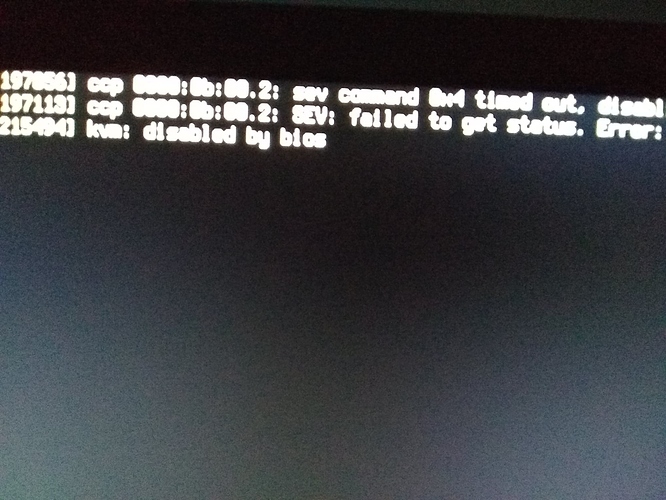 Just something to do with my UEFI? 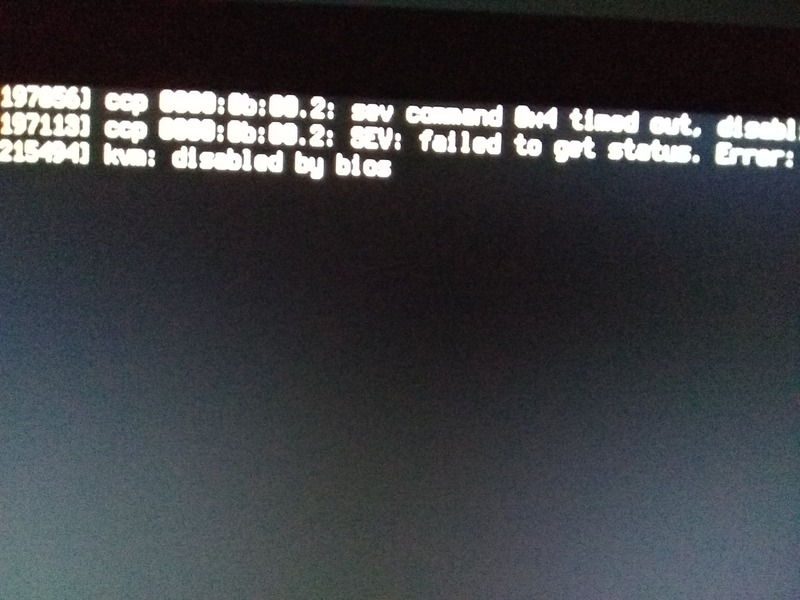 The other errors I got above, who’d think, a BIOS/UEFI update fixed it. I saw that on a previous version, that it Update AGESA to 1.0.0.6. I think this is where all this fiasco was happening. I’ll mark this solved and install this ArchLabs OS later. As I have to go out for the weekend.